I came into Pender Harbour today to do three things: Shop for the next week, hike out to Francis Point and have lunch in the Grasshopper Pub. The Pub was destroyed in a fire five years ago and it took a few years to rebuild. 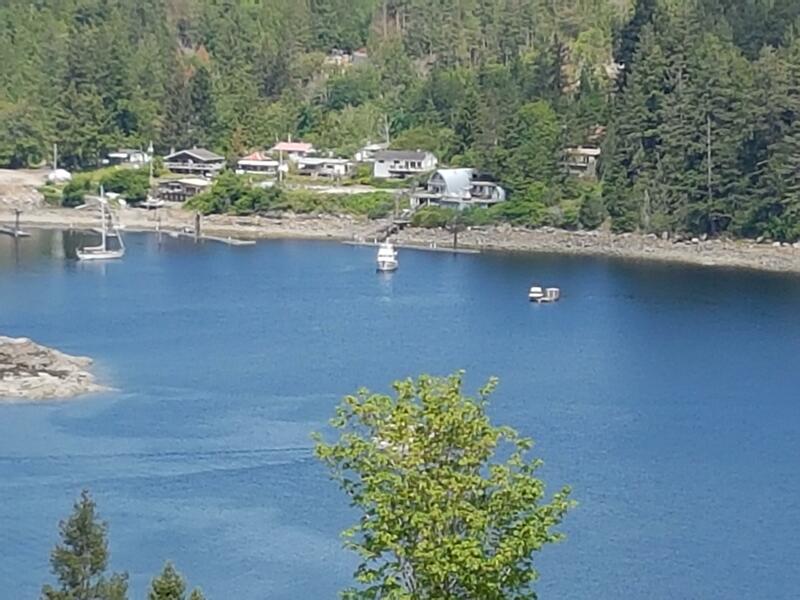 It is a steep climb uphill from their dock, but the views from there are great. The picture is looking over to Garden Bay, where I am anchored. I am happy to report that the lunch was good and all else was accomplished as well. The grasshopper is great and does have a lovely view! Carly and Matt decided not to go this weekend because they didn’t have a reservation, too bad, they could have come to visit you😊Have fun.